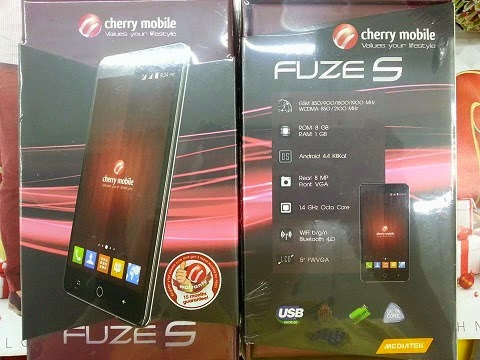 Cherry Mobile Fuze S is now official and according to its specs sheet, it is not your ordinary octa-core smartphone. This 5-incher is only priced at Php 4,499 which makes it one of the great deals in the local octa-core market nowadays. Aside from the multiple cores, this handset has a lot in its gut. Simply because you’ll get a juicy 4000 mAh battery that will support all your hardware requirements in terms of longevity on the road. 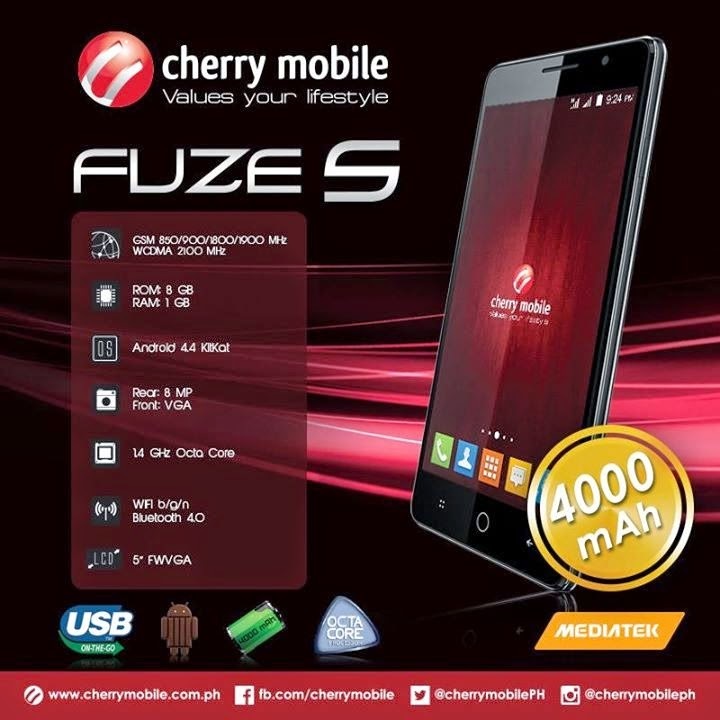 If you’re a mobile person and there so much time between you and the wall outlet, the Fuze S is ideal for you. The MediaTek MT6592M octa-core chipset will no doubt deliver performance and efficiency with its 1.4-gigahertz speed per Cortex A7 core. So yes, eight cores and 4000 mAh battery in Php 4,449 price tag; seems pretty legit isn’t it? With this price, we can’t do away with scaled-down features like the 8-megapixel rear shooter and the FWVGA 480 x 854 display resolution which only frames a 196 ppi pixel density. The front snapper is only rated a 0.3-megapixel, means its VGA. The 1GB of RAM is a consolation, though. Connectivity-wise, there’s 3G HSPA+, Bluetooth 4.0, WiFi and USB OTG. The handset is also dual-SIM capable which could make a seamless shifting between networks. Lastly, Android 4.4.2 KitKat will run the whole show in the software side. Check out the rest of the specs below and see if this Android handset is for you.